INFORMATION-EDUCATION A man was nominated for the Nobel Prize 35 times, but he never won! A man was nominated for the Nobel Prize 35 times, but he never won! Gilbert N. Lewis( born in 1875 ) was an American physical chemist and was known for his discovery of the covalent bond, the Lewis dot structure, and his concept of electron pairs. 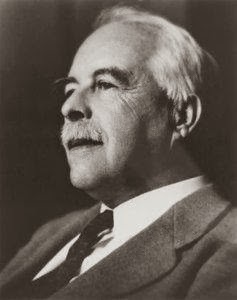 Lewis has successfully contributed to thermodynamics, photochemistry, and isotope separation, and is also known for his concept of acids and bases. 1926, Lewis coined the term "photon" for the smallest unit of radiant energy. He attended Harvard University and studied abroad in Germany and the Phillipines. Lewis then went to teach at the University of California, Berkeley and remained there for the rest of his life. Though he was nominated for the Nobel Prize in Chemistry 35 times, he never won. In 1946, he was found dead in his Berkeley laboratory. While he had been working with hydrogen cyanide, many believe his death was a suicide.